All the budget Android Tablets have been listed below, You can easily check which one best suits for you and can get your best cheapest Android Tablet. The low cost Android tablet market is swarming with new bees. Almost every day we get to see a new company launching a new tablet. However, the tablet is still a new device for us and let’s face it, tablets for the majority of the Indian population is something experimental. Tablet PCs, unlike smartphones have not become a necessity yet. 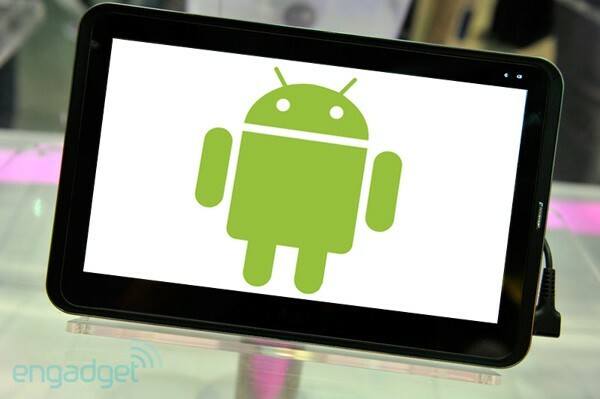 So, if you want to try out an Android tablet, we believe you don’t want to invest much. Manufacturers have somehow managed to push in more features keeping a tight profit margin. So, here’s the list of those brave tablet makers who have tried to keep consumers happy by launching a tablet under Rs 10,000. Word of caution: Don't expect it to be a replacement of iPad or Samsung Galaxy Tabs. The list below has been compiled in an alphabetical order. All the tablets listed below run at least Android 2.3 Gingerbread and have a screen size of 17.8-cm. Other highlights of the device are mentioned below. BSNL-Pantel T-Pad IS701R @Rs 3,999: 1 GHz Processor, Android 2.3 Gingerbread OS, 256 MB DDR II RAM, 2 GB internal memory expandable up to 32 GB via SD card. Complete spec sheet here. BSNL-Pantel T-Pad IS701C @Rs 4,999: Android 4.0.3 Ice Cream Sandwich, 512 MB DDRIII RAM. Complete spec sheet here. BSNL-Pantel T-Pad IS703C @Rs 6,499: Cortex A8 1GHz, 1GB DDRIII RAM, Android 4.0 Ice Cream Sandwich. Complete spec sheet here. BSNL-Pantel T-Pad IS801C @Rs 9,499: 8 inchHD 1024x768 Capacitive Touch Aspect Ratio 4:3, Cortex A8 Processor 1 GHz, Android Ice Cream Sandwich. Complete spec sheet here. Champion W Tab 7.2 @Rs 4,899: 1.5GHz processor, 512MB of RAM, Android Ice Cream Sandwich, 17.8-cm capacitive display, front camera. Go Tech Funtab Fit @Rs 6,999: Android Ice Cream Sandwich OS, 1 GHz processor, DDR3 512 MB RAM. Complete spec sheet here. GoTech Funtab Fusion @Rs 3,999: Android 2.3, 256 MB RAM. Click here for complete spec sheet. HCL ME Tablet X1 @Rs 7,999: 1 Ghz CPU, Multiple Connectivity options – USB, Wifi and 3G/CDMA USB Dongle, Capacitive Multi-touch Screen, Play Full HD 1080p videos & Seamless Display Quality, In-built Flash Player, 24x7 HCL Touch Support. Click here to know more. HCL Me Tab U1 @Rs 7,999: Android 4.0.3 (Ice Cream Sandwich), High-performance Cortex A8 1GHz Processor, Multiple Connectivity options – USB port, Wifi and 3G USB Dongle, Capacitive Touch Dispaly,7 inches 800x480 pixels, 24x7 HCL Touch Support. Click here to know more. HCL My Edu Tab @Rs 8,999 to 10,999: Educational tab from HCL. Technical specifications are same, price depends on the education content. Click here to know more. iBerry Auxus AX03G @Rs 9,990: 1.0 GHz ARM Cortex A8 processor with dual Mali-400 GPU, Android 4.0, 1GB RAM. Full spec sheet. ICE Xtreme @Rs 6,999: Android Ice Cream Sandwich, Allwinner A10 SoC. Click here to know more. Karbonn Smart Tab 1 @Rs 6,990: Upgradable to Android 4.1 Jelly Bean, 1.2 GHz Xburst processor, 2 MP front camera. Full spec sheet. Mercury mTab @Rs 9,499: Android 2.3 (Gingerbread), 1.2 GHz ARM 11 processor with OpenGL 3D accelerator and VPU for 1080 hard encoding. Full spec sheet. Micromax Funbook @Rs 6,499: 17.8-cm capacitive touch screen, Android 4.0 Ice Cream Sandwich, 1.2 GHz Cortex-A8, Dual Mali-400MP GPU, 512 MB. Full spec sheet. Micromax Funbook Pro @Rs 9,990: 25.8-cm (10-inch) capacitive touch screen, Android Ice Cream Sandwich, 1GB RAM. Full spec sheet. Swipe 3D Life Tab X74 @Rs 5,999: 17.8-cm TFT capacitive touchscreen display with a resolution of 800x480. The device is powered by Allwinner A13 Cortex A8 CPU clocked at 1.2GHz-1.5GHz and also has the Mali-400 GPU along with 512MB of RAM. Swipe Float Tab x78 priced @Rs 6,999: 17.8-cm capacitive touch screen, metal shell chasing, 1.5GHz Boxchip A13 processor, Mali-400 GPU, 512MB of RAM, 2.0MP front facing camera, Wi-Fi and support for an external 3G dongle. Swipe Halo TabX74S @Rs 8,999: 17.8-cm TFT capacitive touch screen with a resolution of 480x800, an Allwinner A10 Cortex A8 processor clocked at 1.2GHz-1.5GHz, Mali-400 GPU, 1GB of RAM, 4GB built-in storage expandable up to 16GB via microSD card, 1080p HD video playback support, 1.3MP front camera and a 2.0MP rear camera. WishTel IRA Thing 2 @Rs 6,500: Android 4.0 (Ice-cream Sandwich), 1.5 Ghz Processor and 512MB RAM, 4GB Nand Flash, supports upto 32GB MmicroSD Card and 32 GB USB Stick. Xtab A10 4GB @Rs 5,490, Xtab A10 8GB @Rs 6,990: Android Ice Cream Sandwich. Click here to know more. Zen UltraTab A100 @Rs 5,999: 1.2 GHz processor / MALI 400 , Android 4.0.3 OS , 1.3 MP front camera with digital zoom. Zync Z919 @Rs 6,490: Android OS 2.3 Gingerbread1.2 GHz Processor512 MB DDR3 RAM2 Point Multi-touchDisplay -7 Inches Resistive Touch Screen800 x 480 Pixels ResolutionHardware -Front CameraG-SensorStereo SpeakersMemory -4 GB Internal StorageExpandable upto 32 GBConnectivity -External 3G SupportUSB v2.0WifiHDMI. Full spec sheet. Zync Z909 Plus @Rs 5,190:Android OS 2.3 Gingerbread1 GHz Processor256 MB DDR3 RAM2 Point Multi-touchDisplay -7 Inches Resistive Touch Screen800 x 480 Pixels ResolutionHardware -Front CameraG-SensorStereo SpeakersMemory -4 GB Internal StorageExpandable upto 32 GBConnectivity -External 3G SupportUSB v2.0Wifi. Full spec sheet . Zync Z990 Plus @Rs 6,990:Android OS 4.0 Ice Cream Sandwich1.5 GHz Processor1 GB DDR3 RAMVivante Gc430, run 3D games smoothly5 Point Multi-touchDisplay -7 Inches Capacitive Touch Screen16 Million Color Depth800 x 480 Pixels ResolutionHardware -Front Camera - 0.3 MPG-SensorStereo SpeakersMemory -4 GB Internal StorageExpandable upto 32 GBConnectivity -External 3G Dongle Support *USB v2.0WifiHDMI. Full spec sheet. Readers are welcomed to comment about any other cheapest Tablets below. Android Specifications The latest version, Android 4.2, also known as Jelly Bean, should now come as standard on all higher-end slates, although some of the budget models may still come with the older Ice Cream Sandwich.